which may include Galleries, Club Halls & Pubs. making connections with Life Modelling Events. in bringing together both Artists and Models. Our facility was made to help you do just that! to broadcast Your Practice and forth coming events. Contemporay Art Studio - Sittingbourne Kent. Tutor: Paul Trower. BA (Hons) FineArt. Creative Arts in Canterbury for 6 years. on Castle Road, Sittingbourne in Kent. 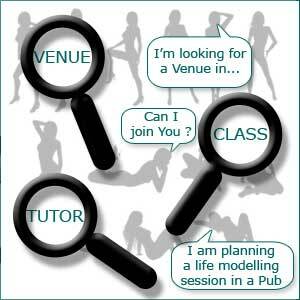 From there I tutor day and evening Drawing, Life Drawing and Painting Classes by appointment. I tutor students on a one to one basis either at the studio or in the privacy of the students home. This service is particularly helpful for the housebound and those who already have a room dedicated to their genre. 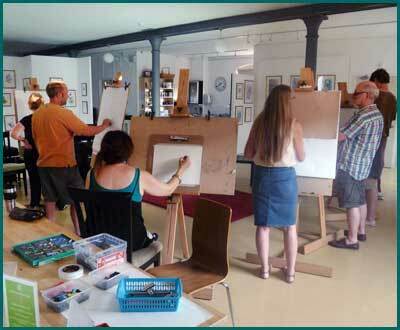 come into their Art Group and tutor Watercolour, Acrylic and Drawing Skills. 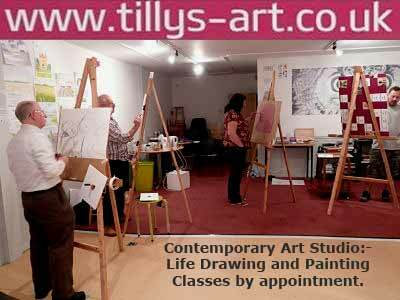 E-mail paula@tillys-art.co.uk and I will answer any queries you may have. Promote Your Life Art Venue or Classes with Us! for self promotion and announcing your services to all web visitors.